Mailbox again to save the day. Actually the Mailbox has helped me throughout this whole Halloween holiday with my Pre-K class. 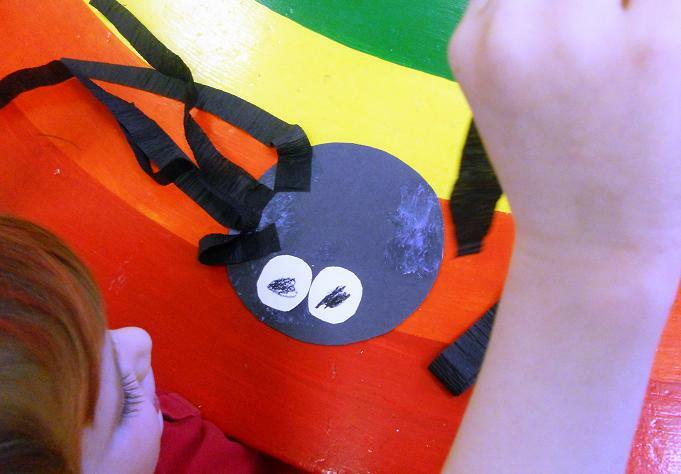 Today we made some really cute spiders. 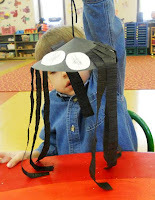 These spiders are another one of those activities that are not too difficult, but the craft packs a big punch. The kids loved these! Each child gets one black circle. 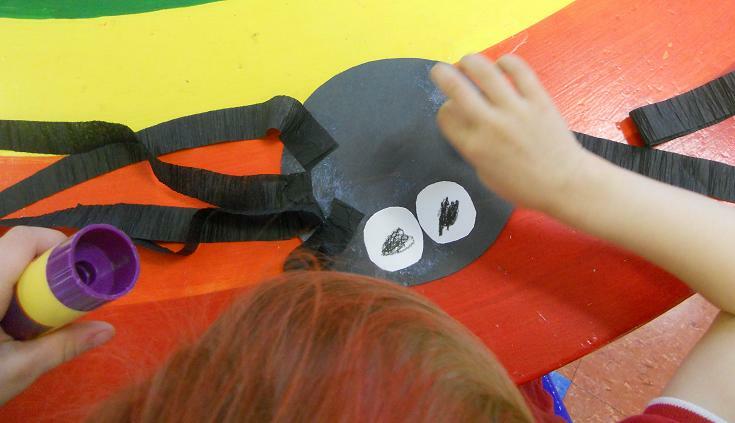 I then gave them two white circles and had them draw some black pupils with a black crayon. They then glue on the eyes. 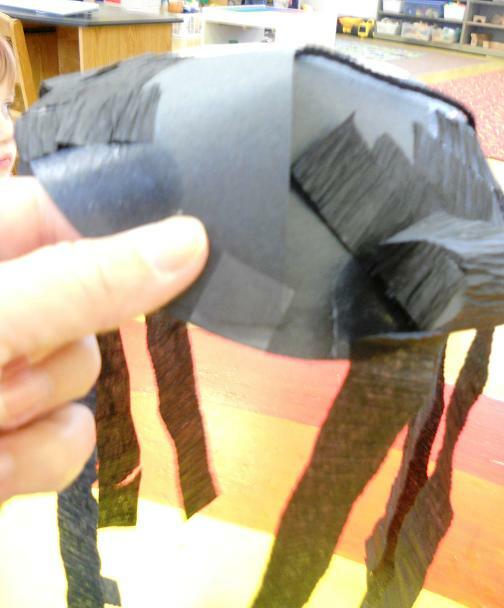 I had them put lots of glue on the edge of the circle then add the legs--four legs on each side. I then put on the finishing touches, of course, older children can do this themselves. Cut a slit in the black circle --just to the middle. Put a piece of black yarn through and tape in to the bottom side of the circle. 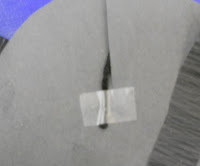 Overlap the cut area--sort of cone like--and add a piece of tape to finish up the project. 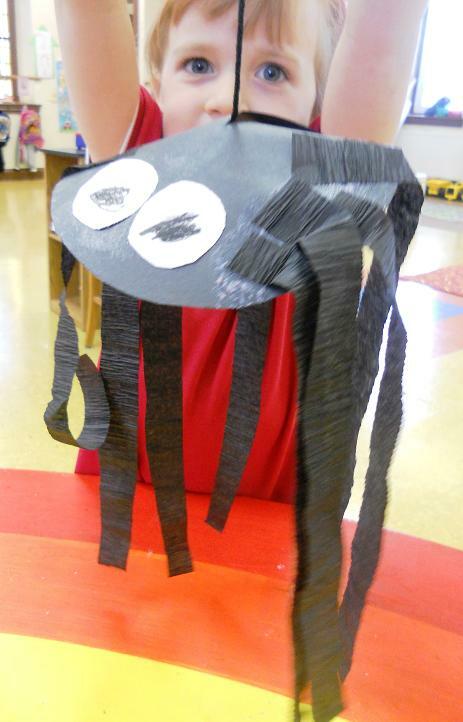 These spiders will bring lots of smiles. I followed your instructions and got a great product out of it. Thanks for sharing. Great project!!! Children have adored it for sure! I followed your instructions and my little ones adored their scary silly spiders!!! Trish- these spiders are adorable!